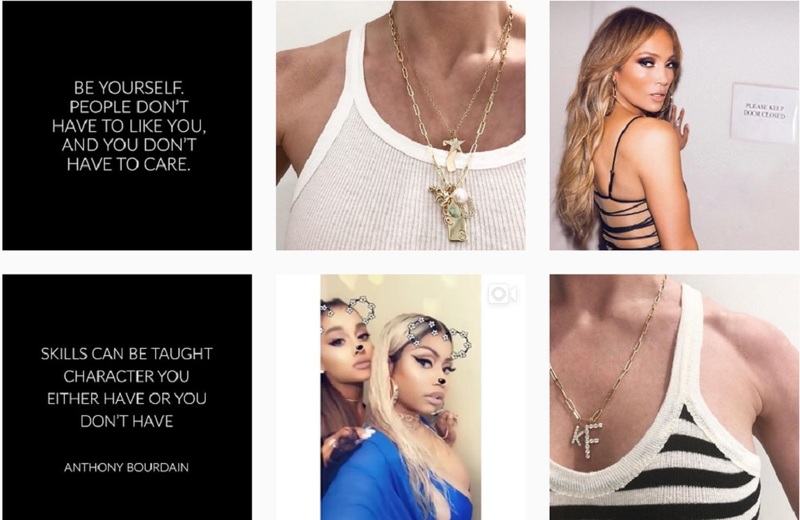 Jennifer Fisher's Instagram page is testimony to her customers' love for OTT jewelry -- aka statement or major bling designs. Why not wear two giant hoops in one ear, writes Vogue. More is better. And just to reinforce the idea that today's bling-lovin girls can also have heart, Fisher throws in ACLU petitions and sad pics of immigrant kids at the border, lost in America's totally dysfunctional immigration system.